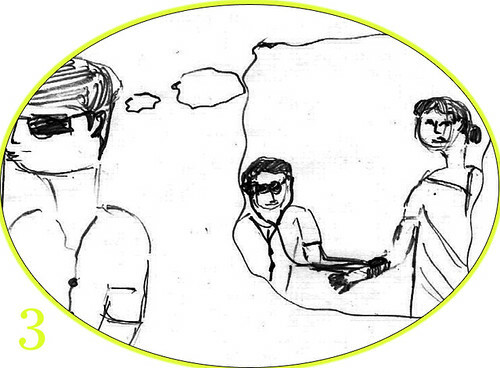 When one cannot see, he or she relies on other senses, such as via Olfactory, Tactileness or Listenning ability. 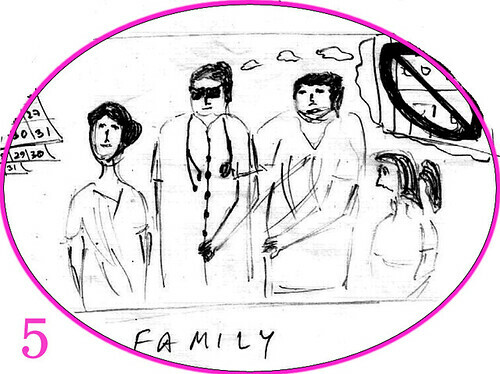 My concept was in the domain of education and to help out blind people to get inspired and go ahead in developing the world to a better place. Focusing on a particular subject was my idea. Such as, Chemistry. Several objects arround us are made up of tiny particals called atoms. Relating to where the basic fundamentals of Chemistry arise from, I thought about the usual Perioic Table. This table provides a lot of information regarding element nature and atomic number. 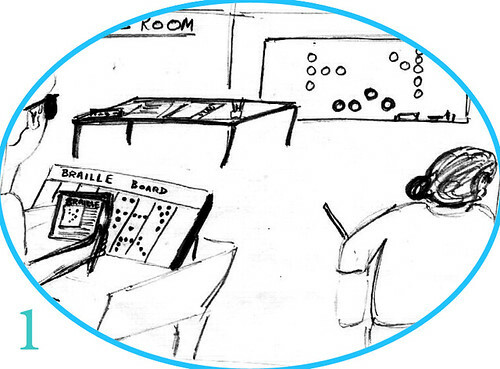 And developing one for blind people, would be an exciting venture. This could be a great achievement in terms of the education system they experience. 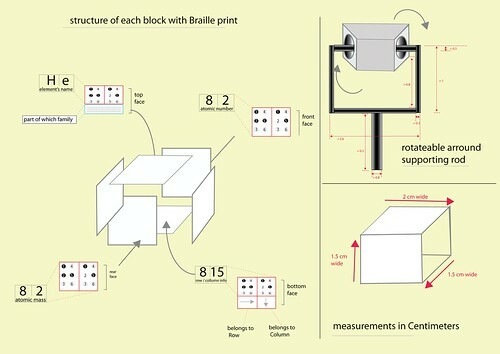 Using the Braille script for them to communicate and understand text via tactile interactions would be an interesting scenario when used for understanding an existing table. With tactile interactions of TOUCH, FEEL, SLIDE, ROTATE, they would also be able to understand what Chemistry is and could bring new changes in future to this planet in several ways. The table has been developed with a lot of opportunity to use tactile senses to interact. 1. The Braille script for the blind is in a six number pattern. Its a font style that is raised on a given sureface to enable them to FEEL and TOUCH. Using as minimum space per sureface area, information has been packed on 4 sides of a cube. In order for the reader to figure out, the cube must be rotated to arround an axis. TO understand the table, one must ROTATE the cubes. 2. 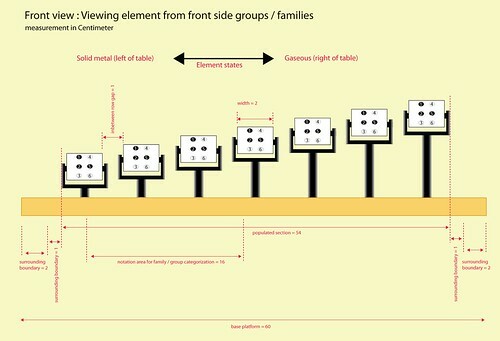 On the left and top boundaries of the board, are Period and Family segregations, so as to organize the elemnts and also to know where one element is located in the table. One must SLIDE his fingers over these boundaries to learn more. 3. Elements from left to right on the Period scale vary in terms of their state. 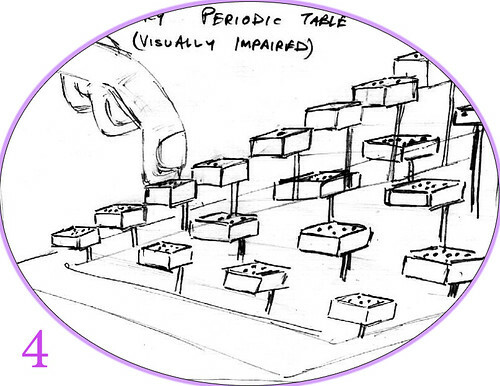 This is represented in a way that solid state metals on the left of the table are lower, heightwise on the board. 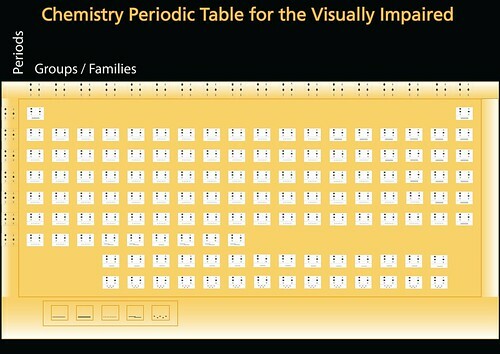 And gases being on the right side of the table are placed higher than others on the board. 5. He finally becomes a doctor in the family. 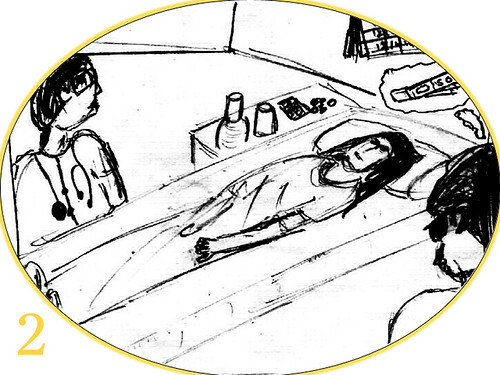 Hence, treatment become free and reduced visits to the usual doctor leads to a sharp cut in medical expenses.